New Commonwealth Government initiative: Foreign Ownership of Water Entitlements – do you need to register? From 1 July 2017, the Australian Government is introducing a new water entitlements register to increase transparency around foreign investment in Australia. Foreign persons with registrable water entitlements or contractual water rights may need to notify the Australian Taxation Office (ATO). A stocktake period will take place between 1 July 2017 and 30 November 2017. Following the stocktake period, a foreign person must notify us of certain events regarding their interests every year. This information will be used to create a register of foreign ownership of water entitlements. 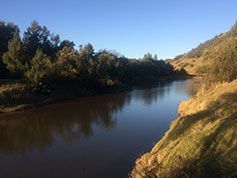 A new registration form is available at http://www.ato.gov.au/waterregister for foreign persons to register their water holdings. This website also contains information on a series of Water register webinars being promoted by the ATO.